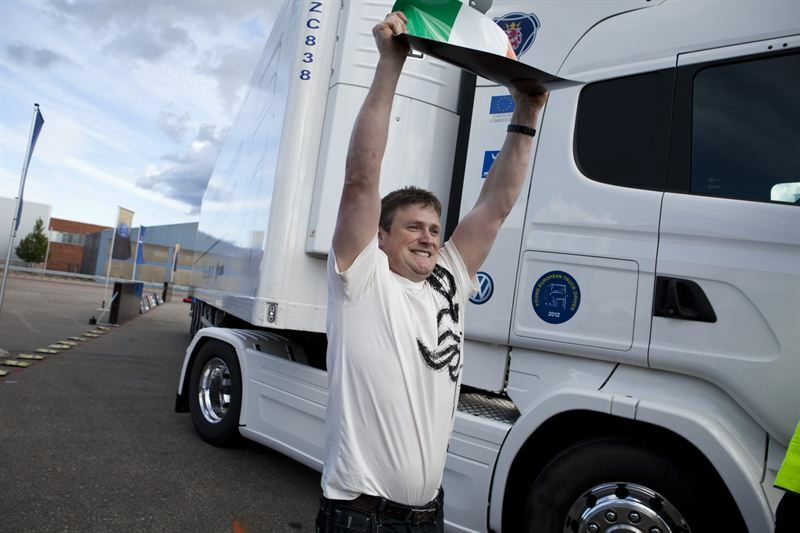 Gabriel Warde from Ireland won the exciting final of Scania Young European Truck Driver 2012 (YETD) competition. The final was decided in Södertälje, Sweden, on Saturday afternoon and attracted close to 10,000 spectators. 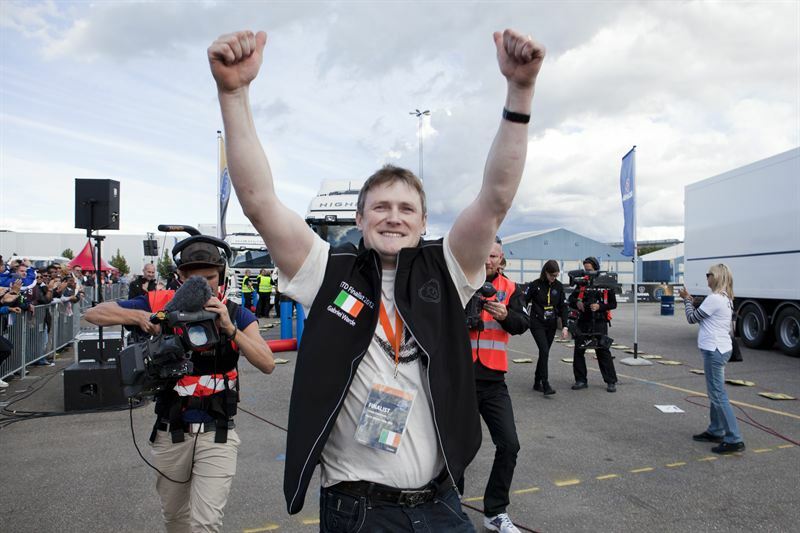 Warde, who participated in the YETD final for the second time, beat 23 other talented young professional drivers from countries throughout Europe. “I really felt the pressure releasing after the competition but it is really good to be on this side of the finishing line,” says Warde. “It has been fantastic to see how concentrated and focused the drivers have been during the competition,“ says Erik Ljungberg, Senior Vice President and head of Scania Corporate Relations. Gabriel Warde was on seventh place in the competition after the qualification rounds. Runner up in the final was Dmitrey Semenov from Russia and on third place was Stephen Lacombe from France. The first prize in the competition is a brand new truck from Scania R-series, at a value of 100,000 euro. A total of more than 17,000 young truck drivers under age 35 from 24 European countries competed in Scania Young European Truck Driver. The final took place over a two-day period and included such tests as defensive and fuel-economy driving, cargo securing, check before driving, rescue and fire and safe manoeuvring. The contestants in the final had to prove that they had the skill and attitude of responsible heavy truck drivers as they completed a programme consisting of complex manoeuvring and obstacle tests. Scania Young European Truck Driver is a major part of a global initiative for responsible, safe driving that Scania started in 2003. By highlighting the role of the driver, Scania also wants to attract more young people into the driving profession. Scania’s Young European Truck Driver competition has the endorsement of the European Commission and the International Road Transport Union. Its sponsors are Michelin and Volkswagen. Scania is also running similar competitions in Latin America, Africa and Asia. The 2012 competitions attracted a record number of some 70,000 contestants worldwide. The complete list of results, as well as photos and scores from the final, are available on keltruckscania.com/yetd. Later this weekend video photo for TV (B-roll) will also be available on the website.